“More disaster-affected people including children, women, men and different vulnerable groups wash their hands using an appropriate and acceptable handwashing kit and cleansing agents effectively at all critical handwashing times … with or without an abundance of water.” – Extract from Oxfam’s handwashing strategy, 2013. We’d been exploring many options for the hardware (handwashing equipment) and software (promotional activities) that would create a step change in handwashing to protect health and prevent disease in emergency contexts. 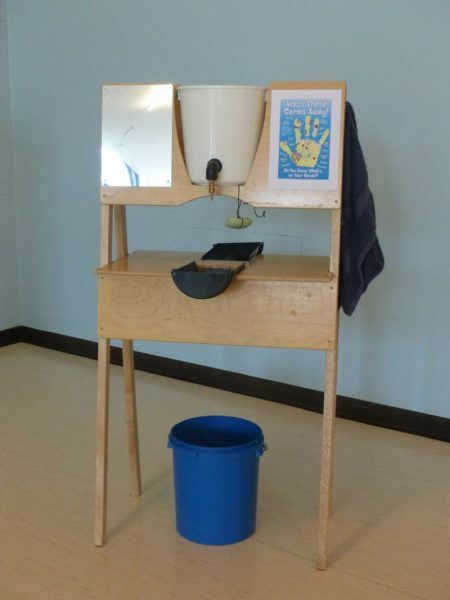 In 2016, students from Beech Grove Academy, UK took up the hardware challenge and generated five designs based on the key attributes we had identified for a handwashing station. The Oxfam WASH Team were so impressed with their A-Frame design (Figure 1 above) that we put it forward for the Handwashing Challenge. The Innovation Sprint, with input from experts, helped us to map out a development path for the product. We were also working on an interactive handwashing promotion approach jointly developed with Unilever’s Lifebuoy Soap – ‘Mum’s Magic Hands’ – which we were keen to test alongside the new hardware. 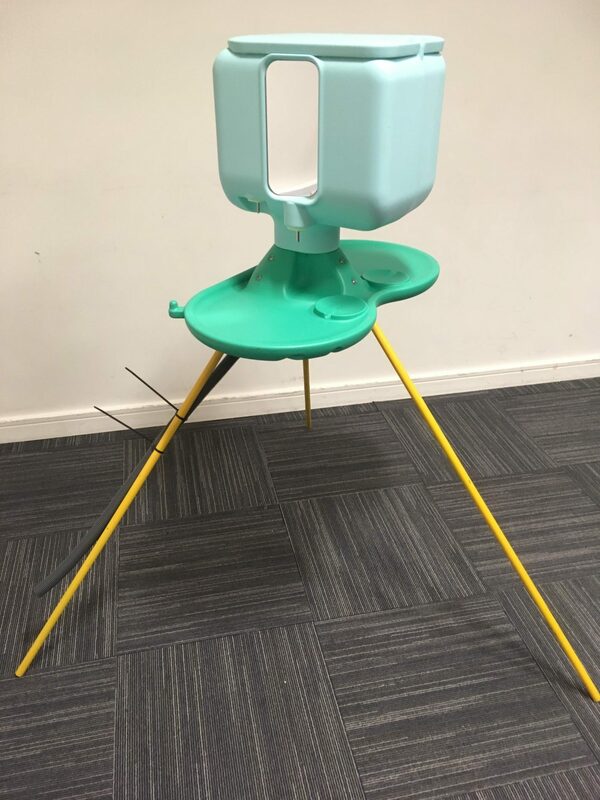 At the inception meeting Oxfam, along with a team of designers, manufacturers and public health and behaviour specialists, discussed the ideal handwashing station for emergency use based on feedback from potential users. This fed into development of the first prototype of the Promotion and Practice Handwashing Kit (PPHWK). You can see the three prototypes below, which were tested in Nduta camp, Tanzania and Kyaka camp, Uganda. August 2017 saw Prototype 1 taken to Nduta refugee camp in Tanzania for initial trials, where it was well received. Feedback led to the improved Prototype 2, which was trialled at scale for eight weeks from March 2018. 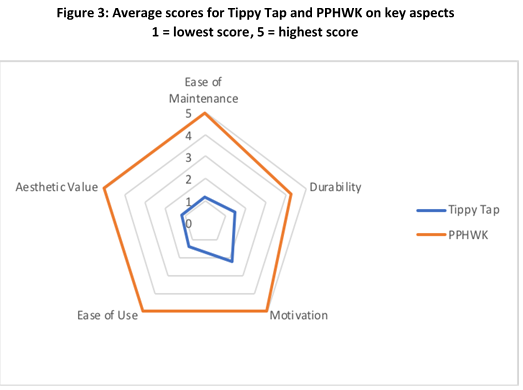 Figure 3, below, shows the average rating of the PPHWK compared with the Tippy Tap during focus group discussions with separate groups of men and women in Nduta camp. 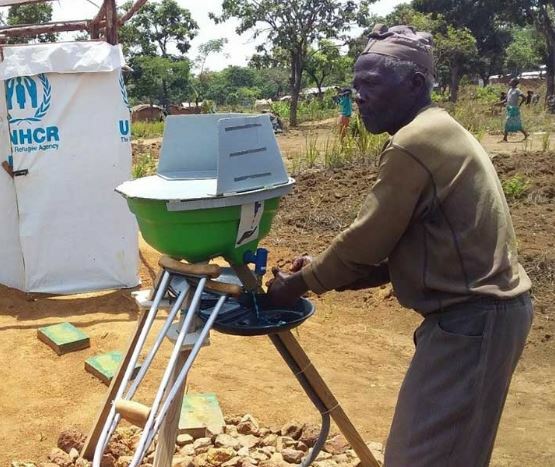 Further feedback informed Prototype 3, which was tested in Kyaka refugee camp, Uganda from July 2018. Again it proved to be user-friendly and significantly increased handwashing with soap practice. The findings in Tanzania and Uganda also showed a significant increase when we used Mum’s Magic Hands compared with traditional handwashing promotion methods such as community meetings, posters, leaflets, etc. The post-evaluation of Prototype 2 in Nduta camp showed that it was still functioning after 10 months and that both the coloured footsteps embedded in the ground to guide people and the installed station were still intact. The mirrors had been stolen, however – an issue that was addressed in the final prototype design. We now have Prototype 4 (Figure 5 below), which was improved with feedback from the trials. It looks quite different but it retains all the desirable features tested in the Tanzania and Uganda camps. Every element is robust and low-cost and it is optimized for shipping. The kit can be assembled in under seven minutes, following simple instructions. Lightweight, stackable and easy to transport. So, did we achieve what we set out to do? Yes, we did. Were there any challenges? Yes, in particular delays in manufacturing the plastic components of the prototypes and the unstable contexts where the trials were conducted. 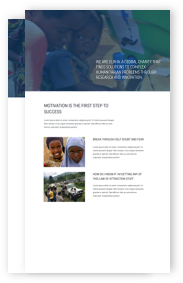 As we reached the end of the project, which was supported by Elrha’s Humanitarian Innovation Fund (HIF), we also faced a new challenge in how to move it to scale. The HIF enabled field practitioners, private sector actors and designers to create a product that was tried and tested several times with potential users. Exhibiting Prototypes 3 and 4 at industry conferences in Kenya and Belgium allowed for feedback from WASH practitioners, donors and potential buyers. We now look forward to engaging the latter groups further for the scale-up phase.